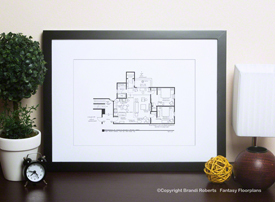 Buy a poster of the Mad About You apartment tv floor plan! 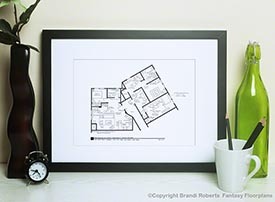 Welcome to my Mad About You apartment floor plan for Jamie & Paul Buchman's hip Manhattan home. You'll find Murray's bowls are in the kitchen and Paul's editing equipment is in the living area along with the Mission style dining set. 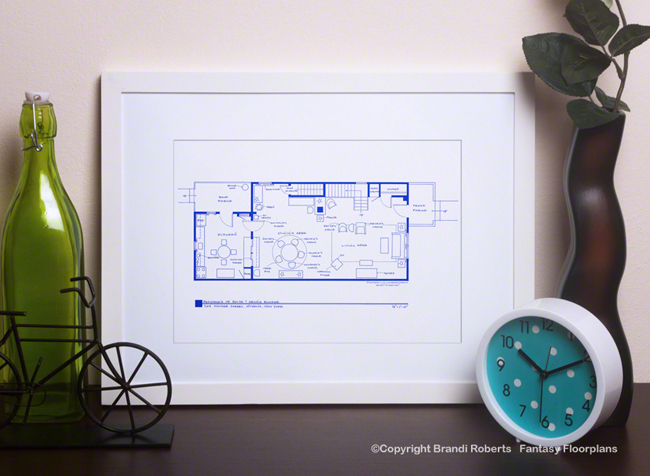 There are beautiful built-in bookscases in the living area which provide plenty of storage space. One bedroom, one bath with open living/dining area and large kitchen. 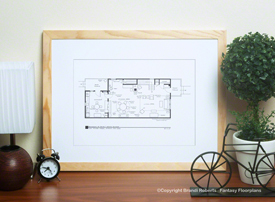 This pre-war remodeled apartment has everything a young couple needs. 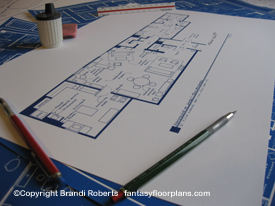 My expertly hand-drawn Mad About You apartment floor plan is a great conversation piece!